Really like your crafts!! Happy Crafting! As a kid I liked to make my little sister clothing out of anything I could find. I also made lots & lots of bracelets. I have recently just gotten back into crafting, in a big way. 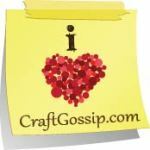 I enjoy making books, altering books, ATC's, inchies, embroidery, stamping & so much more! As a child, I remembered doing some of my school craft projects and school charity projects with my grandma, things like simple cross-stitch and crochet, sewing hand-puppets, crepe paper roses. When I first started working can to pay for lessons, I have dabbled in a lot more like parchment paper laces, hardanger, stumpwork, pressed flowers, folk art painting, pottery and a lot more, often than not, only creating a one piece work. Until I came across tatting, and now I mainly tat and lately, creating ATCs with my tatted laces and motifs. LOVE that book! I told my kids I picked it up for them to use with their small looms - but I think I want to make the eyeglass case for myself. I'm doing the same things I did as a kid - knitting, sewing (doll clothes still!) - paper crafting. Now I just do it with LOTS of supplies, when I was little it was all salvaged materials. my taught me to crochet and knit when i was five. i drew, and i was very fascinated with lettering. mrs. jacobs, who was very old, brought her quilting when she babysat us. one time she brought some to share. i was about 5 or 6. now, i make atc's, cards and other paper arts. i also have enjoyed altering bottles and boxes, and i enjoy collecting stuff for assemblage. i have always been a collector of stuffs. i have a blue jay feather and a troll's robin hood hat with a disentigrating red feather from a very long time ago. i used one of those pot holder looms that were so popular in "ancient" times, and i did some weaving and tapestry in high school, but never really went very far with it. 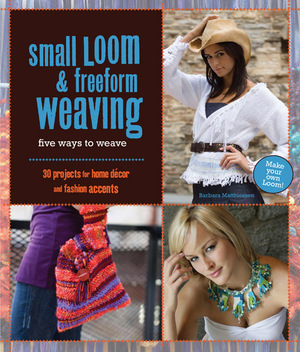 also, macrame...let's not mention that, though! I had a Barbie Knitter when I was young and I liked it so much I recently bought me a new one that's a little bit bigger!! I also used to paint simple acrylic pics and now I'm back to painting again but have graduated to simple watercolor. The key word is "simple" since I'm on a HUGE learning curve!! I have always liked Native American art. As a kid I made headbands and small brooches on a bead loom. I tried it again recently but prefer stamping and mixed media now. I have always been a paper "fiend" - I've collected it, hoarded it, and loved it all my life! The advent of scrapbooking just made it worse - all that lovely paper to buy and keep and look at ... at least now some of it winds up in my art journal and in my art!